Once in a Lifetime Comet Siding Spring Skimming by Mars Today! 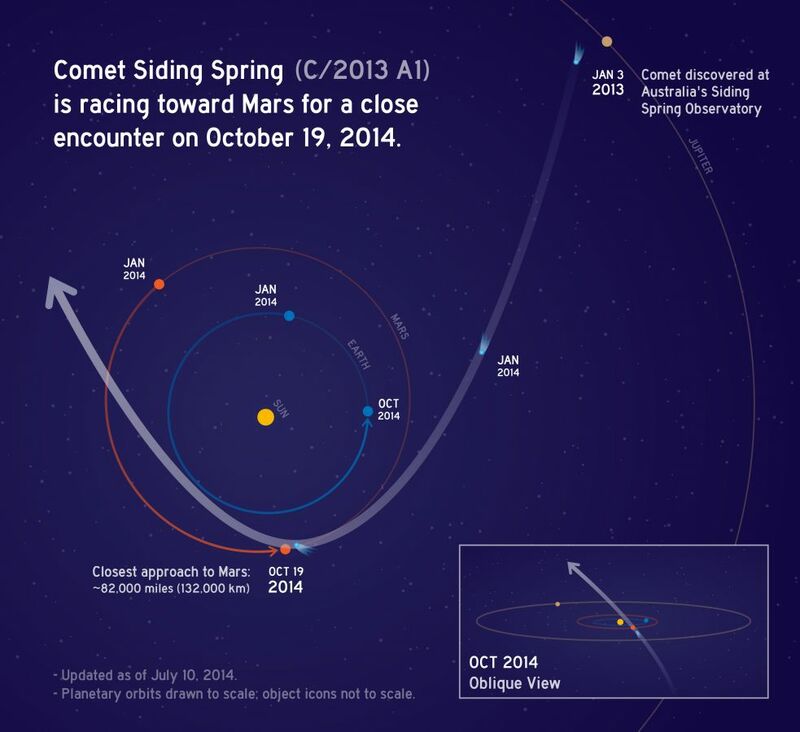 Home » Breaking News » Once in a Lifetime Comet Siding Spring Skimming by Mars Today! Comet Siding Spring Skimming Mars and Giving Our Satellites a Scare. Here’s Why You Should Be Watching this Event Today! It will just skim Mars by 87,000 km. To give you an idea, our Moon is about 384,400 km from our Earth so this comet would pass in between earth and the moon and show up like a second sun in the sky. 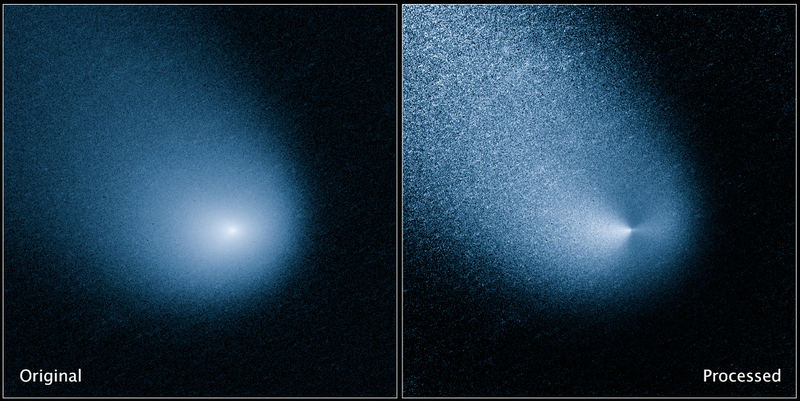 Comet Siding Spring is hurtling through space at about 56 km/s! The weight alone is about the weight of a mountain. It’s also shedding 220 pounds of dust per second. This comet took an estimated million years to come from the Oort cloud. The Oort cloud is 50,000 AU (distance from Sun to Earth is 1 AU) out, hugging our solar system within it. It’s passing by so close that our billion dollars worth of satellites need to hide behind Mars so it won’t get annihilated. Comets come from two places: Oort Cloud and Kuiper belt (50 AU out). The comet is comprised of material that gives us very strong clues of how our solar system formed. We know how the outer planets are formed but still don’t fully understand the inner planets. Comets, especially from the Oort Cloud, are extremely unpredictable and hard to study and don’t come around often. So this gives humans an exciting chance to get a better look at one. No we aren’t but our billion dollar satellites orbiting #Mars are and scientists had to calculate the exact time for the satellites to hide behind the planet Mars so it won’t get destroyed. Sunday October 19, 2:15 pm EST. Watch live via Slooh webcast.